The newly reopened St-Jacques exit ramp off the westbound Ville-Marie Expressway , which is extremely curvy and potentially dangerous, is raising concerns for Concordia University’s students and staff. The St-Jacques St. exit reopened in late August after its reconstruction to make way for a vehicle entrance for the McGill University Health Centre super hospital, which is in the process of being built. The exit has been closed since February. According to an article published in The Gazette, the new ramp is not a typical loop normally used for exit ramps but a reverse curve which forces drivers to take a steep right, a steep left followed by another right. 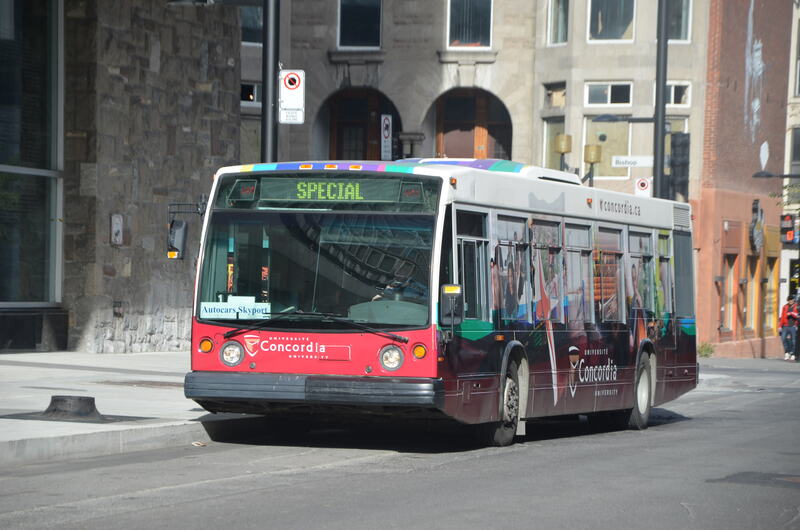 Concordia University’s shuttle bus service that transports students from the downtown campus to the Loyola campus in Notre-Dame-de-Grâce uses this exit daily. According to university spokesperson Chris Mota, Concordia has not received complaints from students or bus drivers about the new ramp, although shuttle bus driver Vince Torchia immediately noticed the potential dangers of driving too fast. Yet, the main purpose of the ramp is to force cars merging onto St-Jacques St. to reduce their speed. While it is understandable that the city would want vehicles to slow down, Luis Amador, a Concordia University civil engineering assistant professor, believes this is an inappropriate measure. Amador suggested placing little poles or markers on the side of the road to give drivers the sensation of going faster than they actually are and said widening the sidewalks to produce more narrow lanes will force drivers to slow down when approaching the intersection. He also explained that drivers only have about six seconds from the time they see the 45 kilometre speed limit sign that also indicates a curve. It then takes about three seconds to react. “You see the sign indicating 45, you decide to slow down, you take the foot off the gas, and three seconds after you are on the curve,” said Amador. This becomes more of a problem when drivers may miss the road signs due to poor visibility because of blowing snow, hail or fog. However, Amador emphasizes that the ramp is still under construction and more signs may be added. Transport Québec hasn’t reported any accidents, though it’s been open for two months and typically accidents are looked at over a three-year period. Amador advised caution to all drivers, including the Concordia shuttle bus, and encouraged those taking the ramp to fully follow the curves.